This challenge was suggested by one of the members of Rochdale Triathlon Swim Club (which I haven’t been to for a few months now!). When I was going, Sarah was always in the fast lane and I’m not quite good enough to move up to that lane. Maybe one day 🙂 Whilst Sarah and I never got to swim together, we often had a good chat before and after the swim sessions. 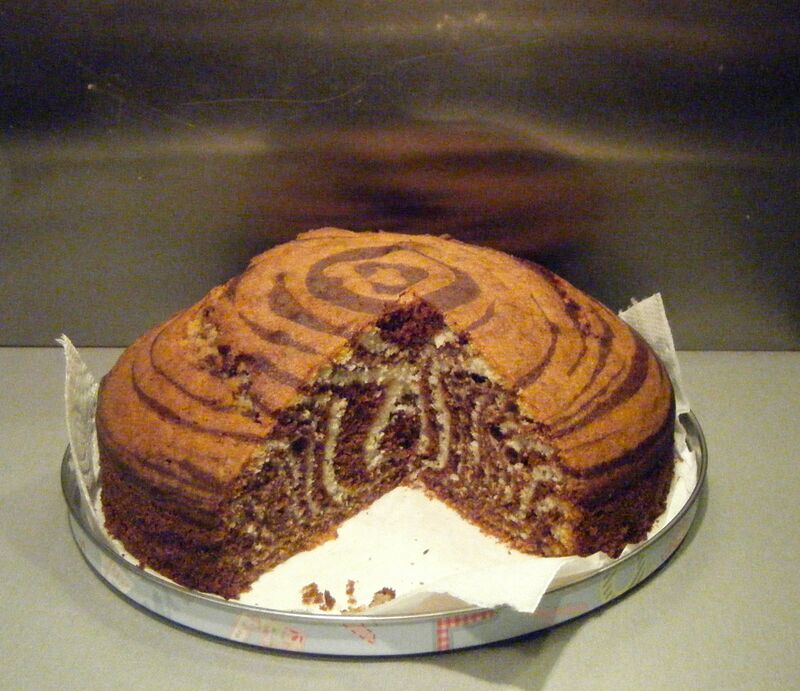 Sarah also loves baking and suggested I make a zebra cake for Challenge 52. After a quick bit of research, I settled on a recipe by Lorraine Pascale. 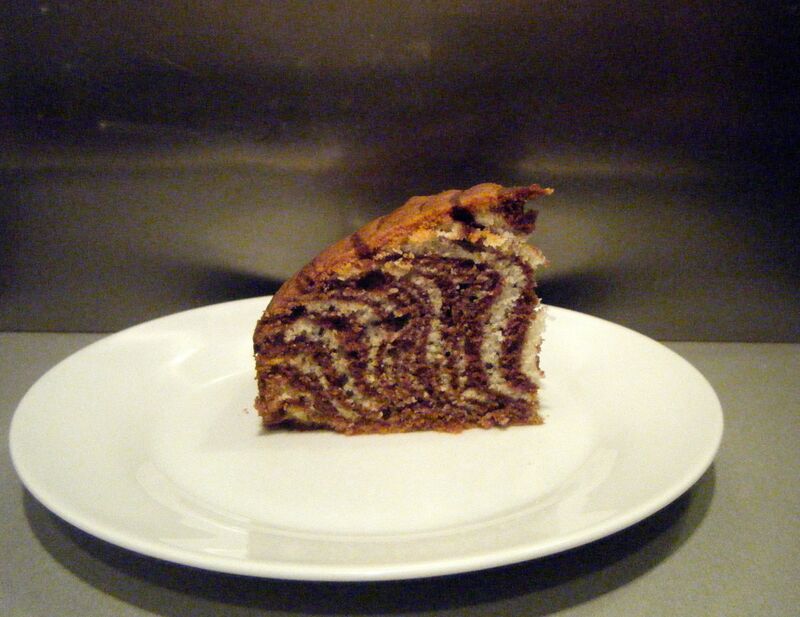 This uses a little bit of orange zest to flavour the chocolate sponge and I thought it would be delicious – I was right! 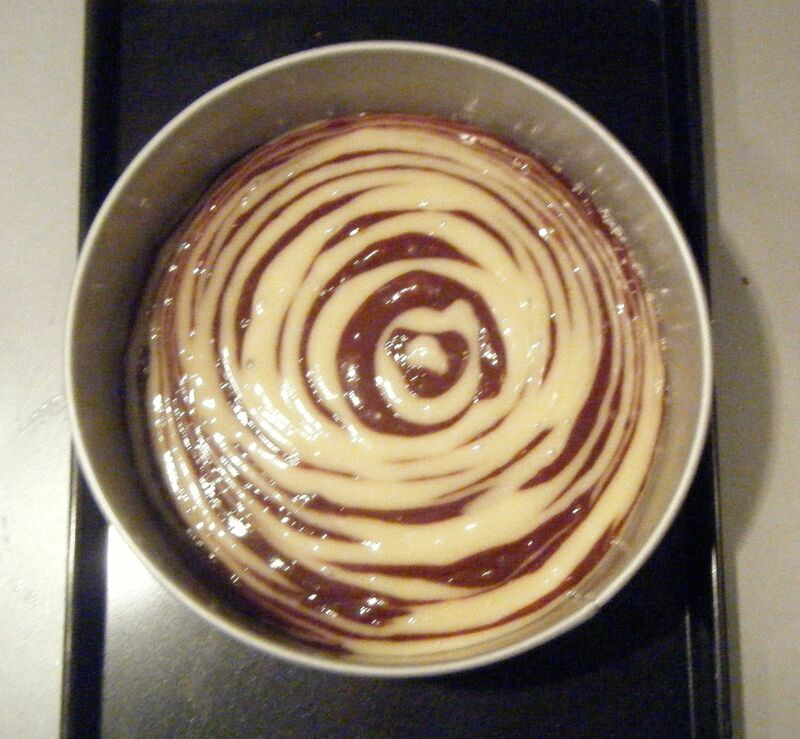 The recipe uses a 23cm round cake tin, however, I only had a 20cm one and I just went ahead and used this. 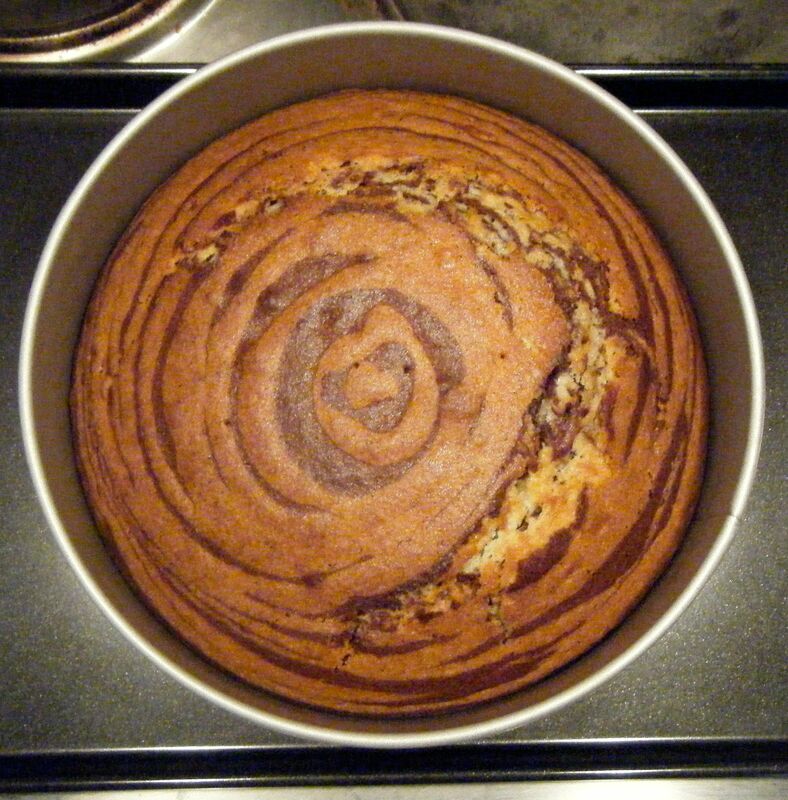 I just had to adjust the cooking times slightly as it was a deeper cake than it would have been in the 23cm tin. I started by lining the base of my tin with baking parchment. I removed the base and used it to trace a circle on the baking parchment. I then brushed the tin and base with some olive oil, pushed in the parchment and then gave it a once over with the already oiled brush. 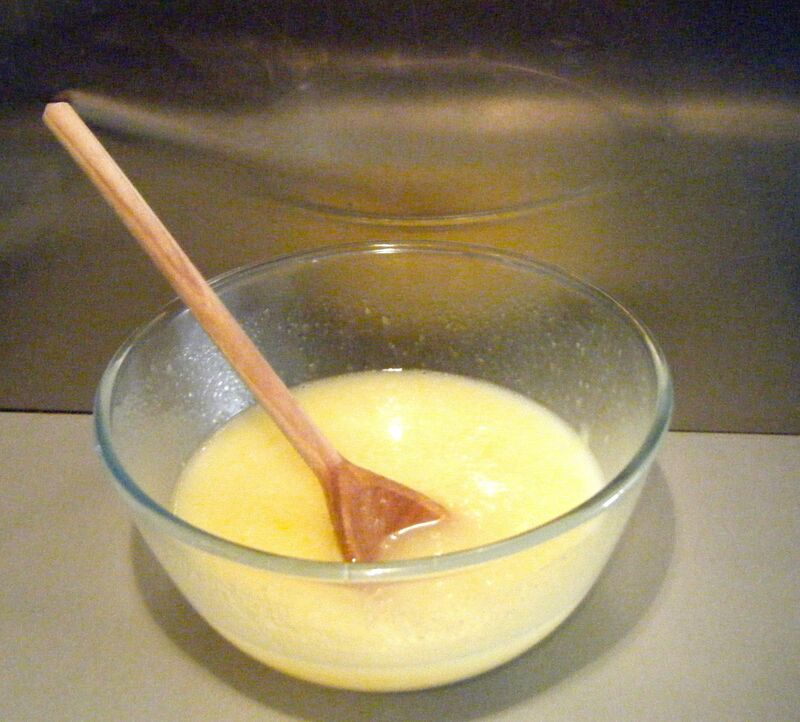 I then put the oil, sugar, milk, eggs and vanilla extract into a bowl. By the time I had got all the ingredients in, the sugar had started to crystallised, having soaked up the wet ingredients. However, it soon started to break down as I have it a good stir with a wooden spoon. 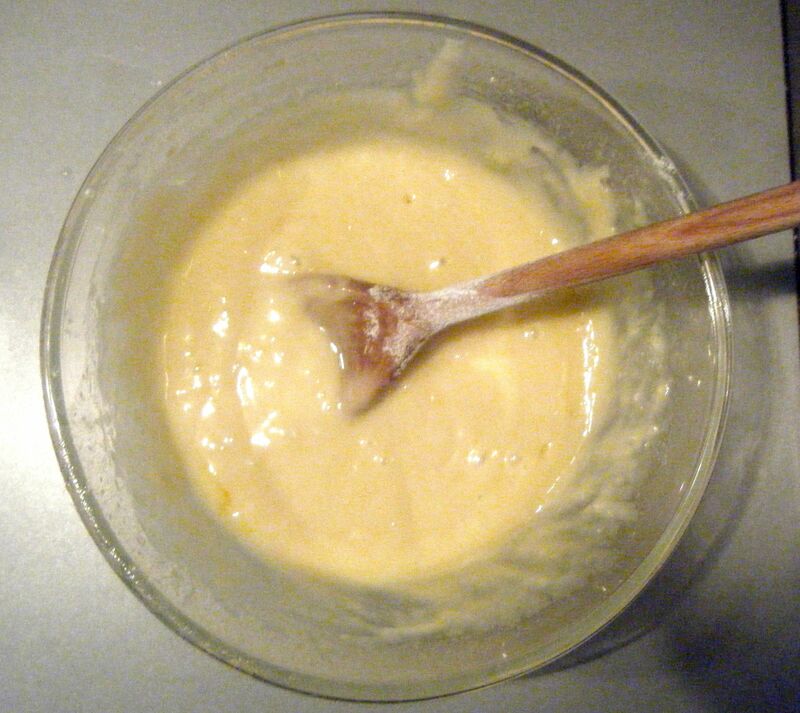 The recipe recommends against using an electric whisk as you don’t want too many air bubbles in the mixture. Anyway, once the ingredients has mixed together to form a smooth wet liquid, I measured out 400ml into a jug and poured it into another bowl. I wondered whether it needed to be half the mixture but when I measured the remainder there was only 300ml. I therefore took 50ml back from the larger amount so I had 350ml in each bowl. I then reread the recipe and doubted myself so I decided to switch it back to 400ml and 300ml. 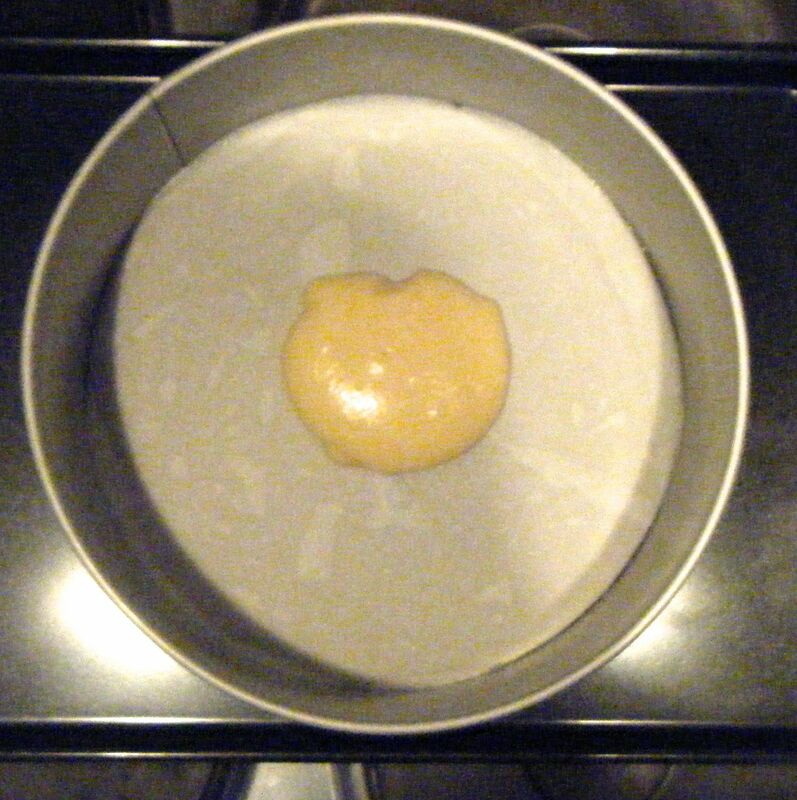 I then sifted 175g of self raising flour and 1/2 tsp of baking powder into the 400ml portion. I have it a good mix with the wooden spoon until it was well combined. I put this mixture to one side and got started on the chocolate one. I sifted 125g of self raiding flour, 1/2 tsp of baking powder and 25g cocoa powder into the bowl with 300ml of mixture. I mixed it all together and then stirred through the orange zest. Practical tip: zest the orange directly over the bowl to get the best flavour and not lose out on any of the orange goodness! With the two mixtures ready, I got my pan and four tablespoons. 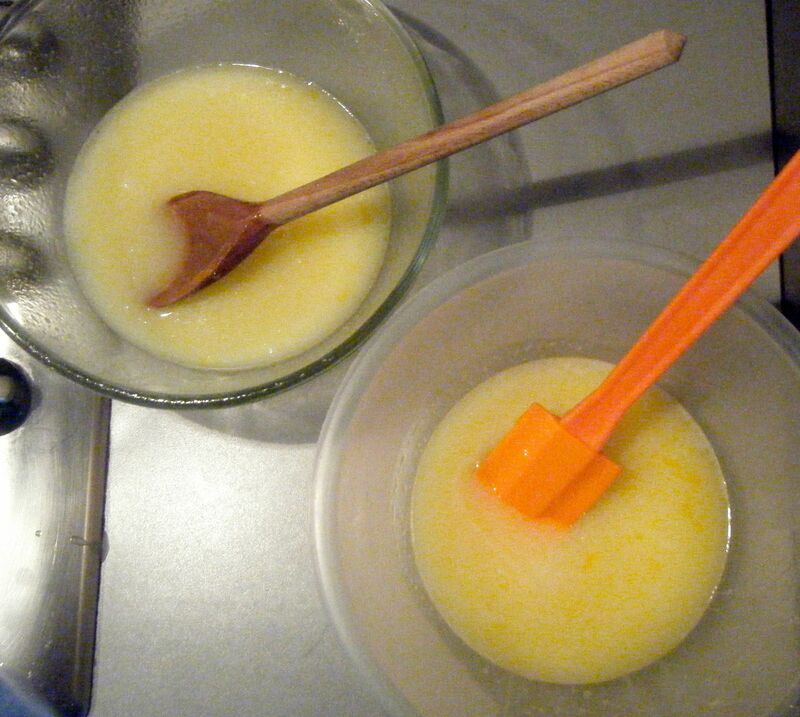 I used two tablespoons for each bowl…one to measure the mixture and one to scoop it off the other. I then put one tablespoon of white mixture into the pan and then added a tablespoon of the chocolate mixture. 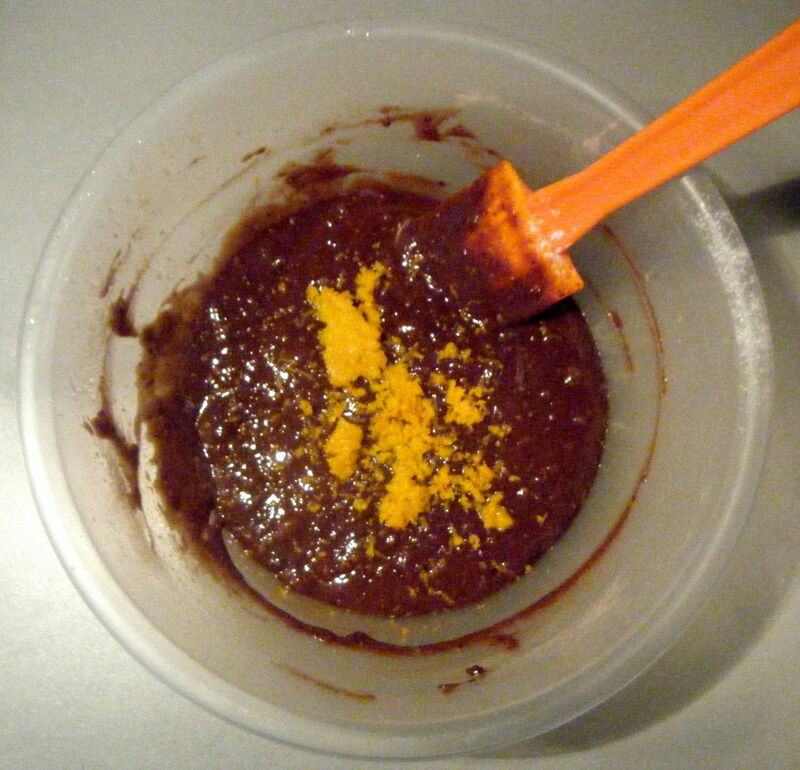 I kept alternating the mixtures until it was nearly all used and the mixture reached the edges of the tin. I wasn’t very good at keeping my ‘dollops’ in the centre of the tin and soon enough, I was working more to one side of the tin. When I realised this was happening, I tried to avoid putting the mixture directly in the centre of the last ‘dollop’ and gradually worked it back towards the centre. 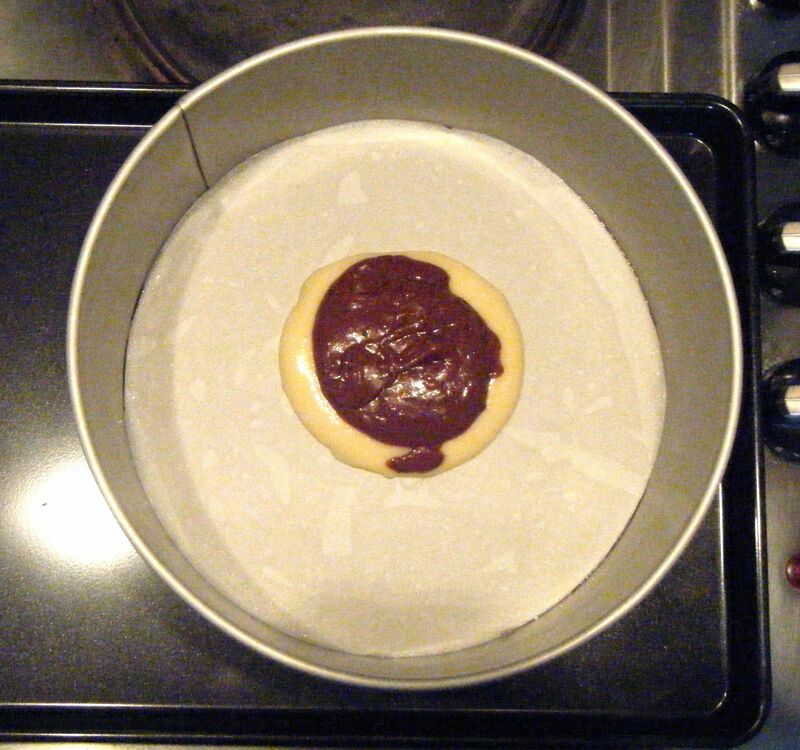 I then put the tin in the oven on 180 degree celsius for 25 minutes. I rotated the tin half way through cooking. After the 25 minutes was up, I reset the timer for another 5 minutes and continued to do so until the cake was cooked. In total I think I cooked the cake for around 48 to 53 minutes (I lost track slightly but I think it was one of these!). 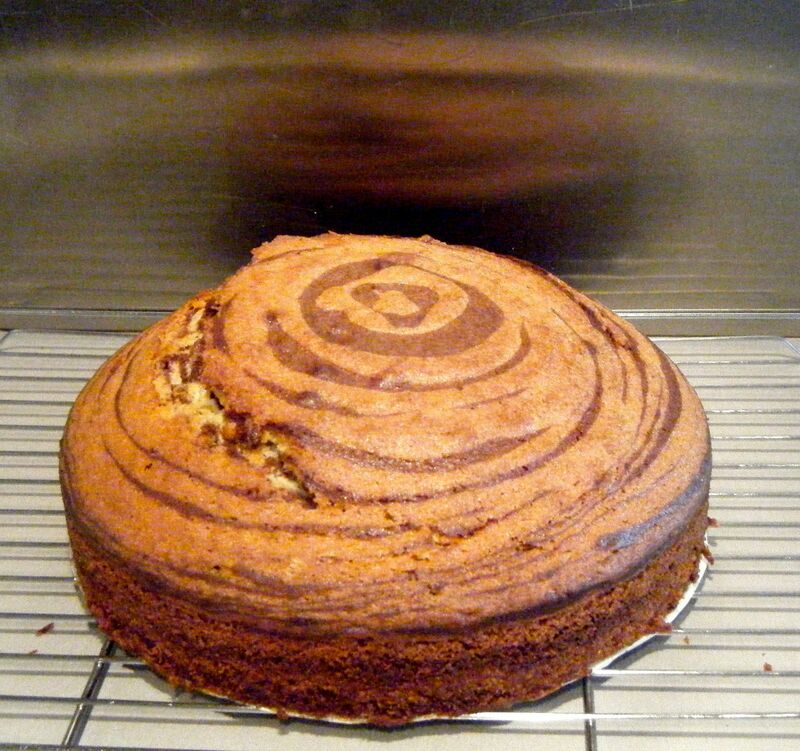 Practical tip: in case you missed my earlier cake challenges, to test whether a cakes is cooked, gently press the top with your finger; if it is done it will be springy to touch and bounce back into place. You can also take a tooth pick (or cake tester if you have one) and slide it into the centre the cake; if the cake is done the tester will come out clean. If unsure, test a few different parts of the cake to make sure its done! If you think it’s not quite done return the cakes to the oven but keep an eye on them – 1 minute may be all they need but that 1 minute can make all the difference! I left the cake to cool in the tin for 10 minutes and then put it on a cooking rack with the parchment still on the bottom. Once it was cool, I cut a slice for me and Dave to share. Well, what can I say about this cake…it was gorgeous! It was so moist and full of flavour. 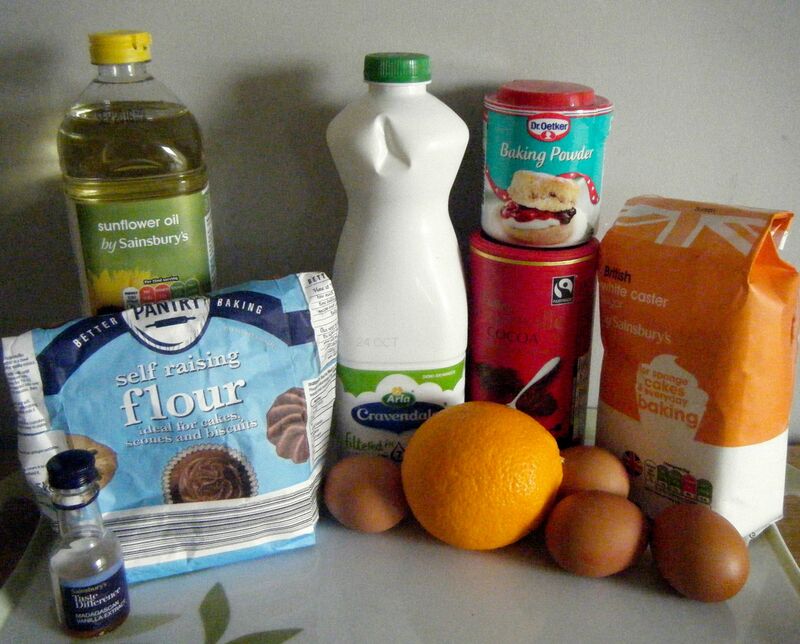 The chocolate orange flavour was soooo good and I would encourage everyone to have a go at this cake. Not only does it look pretty and skilful, it tastes amazing. Coming up next week, Challenge No. 42 – Lamb boulangere. This entry was posted in Challenge 52 and tagged Baking, Cake, Challenge52, Chocolate, dessert, Eggs, Food, Pretty by MyGastroAdventure. Bookmark the permalink.